As the entertainment industry tries to keep up with new issues and challenges created by the ever growing digital economy, copyright and licensing legislation is taking center stage in the US. Now, four different sections of the federal government—the US Copyright Office, Congress, the Department of Justice, and the Department of Commerce—are independently reviewing these laws with the goal of creating a more effective legal framework for the modern era. This year has already seen important developments in this realm. 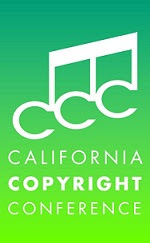 In February, the Copyright Office released its groundbreaking report, “Copyright and the Music Marketplace”, after two years of extensive study and public roundtable discussions across the country, and in April, the US House of Representatives Judiciary Committee concluded its series of 20 hearings on copyright reform, which had been ongoing since March 2013 and featured 100 different witnesses. Meanwhile, the Department of Justice is concluding its study on the consent decrees governing ASCAP and BMI, and is expected to release its suggested modifications very soon. In this panel we will discuss the Music Licensing Report, the expected DOJ modifications, legislative developments thus far, and currently pending legislation, in addition to proposed next steps and what is expected in 2015 and beyond. ● Dina LaPolt, Esq. LaPolt Law, P.C. All Students must show College ID at the door, if paying at the member rate. Please help us make this an enjoyable experience for everyone by using the reservation system. A failure to reserve by the deadline may result in not receiving your preferred choice of dinner entree. Dinner will be payable at the door by cash or check only – no credit cards. To register online for this and future meetings, everyone (members and non-members) will need an account. Check your email for login information if you are already a member or on our mailing list. If you are not on our mailing list, please set up an account prior to registering for this meeting.